Merry christmas greeting video. 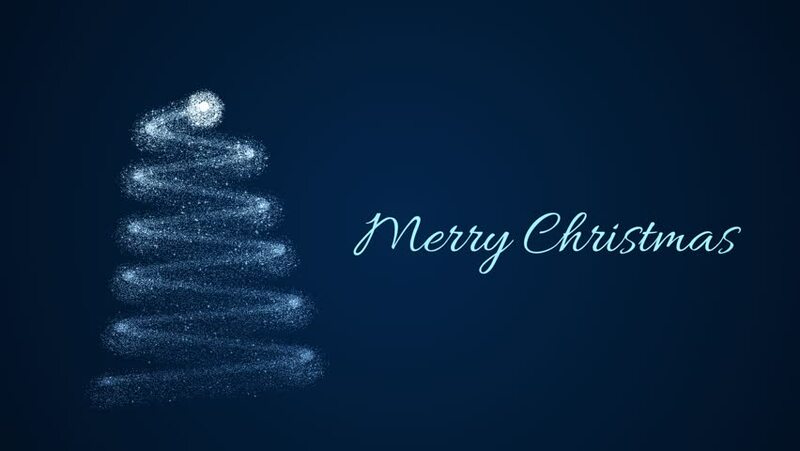 Blue christmas tree from particles is fading from bottom to top, on blue gradient background. hd00:10Merry christmas video greeting. Christmas tree from particles, fading from bottom to top. Falling snow in background. Merry christmas text on side. 4k00:20Abstract, spiral Christmass tree with falling up snowflakes and flashing lights on dark blue background, winter holidays symbol. Neon Christmass tree, Happy New Year, Merry Christmass concept.